The most important methods are listed below and a brief description of their application, advantages, and disadvantages is given. 1. Diversion of wastewater has been extensively used, often to replace wastewater treatment. Discharge of effluents into an ecosystem which is less susceptible than the one used at present is, as such, a sound principle, which under all circumstances should be considered, but quantification of all the consequences has often been omitted. Diversion might reduce the number of steps in the treatment, but cannot replace wastewater treatment totally, as discharge of effluents, even to the sea, always should require at least mechanical treatment to eliminate suspended matter. Diversion has often been used with a positive effect when eutrophication of a lake has been the dominant problem. Canalization, either to the sea or to the lake outlet, has been used as solution in many cases of eutrophication. However, effluents must be considered as a freshwater resource. If it is discharged into the sea, effluent cannot be recovered; if it is stored in a lake, after sufficient treatment of course, it is still a potential water resource. It is far cheaper to purify eutrophic lake water to an acceptable drinking water standard than to desalinate seawater. Diversion is often the only possibility when a 'massive' discharge of effluents goes into a susceptible aquatic ecosystem. If it is considered that the canalization is often a significant part of the overall cost of handling wastewater, it might often turn out to be a both better and cheaper solution to have smaller treatment units with individual discharge points. Although diversion is not considered an ecotechnological method based on sound ecological principles, a number of successful applications of diversion has been reported in the limnological literature. The most frequently quoted case is probably the restoration of Lake Washington resulting from diversion of wastewater. 2. Removal of superficial sediment can be used to support the recovery process of very eutrophic lakes and of areas contaminated by toxic substances (for instance, harbors). This method can only be applied with great care in small ecosystems due to the stirring up of suspended matter. Sediments have a high concentration of nutrients and many toxic substances, including trace metals. If a wastewater treatment scheme is initiated, the storage of nutrients and toxic substances in the sediment might prevent recovery of the ecosystem due to exchange processes between sediment and water. Anaerobic conditions might even accelerate these exchange processes; this is often observed for phosphorus, as iron(III) phosphate reacts with sulfide and forms iron(II) sulfide by release of phosphate. The amount of pollutants stored in the sediment is often very significant, as it reflects the discharge of untreated wastewater for the period prior to the introduction of a treatment scheme. Thus, even though the retention time of the water is moderate, it might still take a very long time for the ecosystem to recover. The removal of sediment can be made mechanically or by use of pneumatic methods. 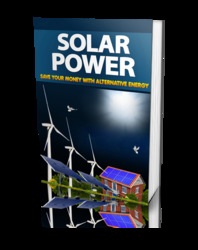 The method is, however, costly to implement, and has therefore been limited in use to smaller systems. Maybe the best known case of removal of superficial sediment is Lake Trummen in Sweden -40 cm of the superficial sediment was removed. The transparency of the lake was improved considerably, but decreased again due to phosphorus in the overflows from storm water basins. Probably, treatment of the overflow after the removal of superficial sediment would have been needed. 3. Uprooting and removal of macrophytes have been widely used in streams and also to a certain extent in reservoirs, where macrophytes have caused problems in the turbines. The method can, in principle, be used wherever macrophytes are a significant result of eutrophication. A mass balance should always be set up to evaluate the significance of the method compared with the total nutrient input. Collection of the plant fragments should be considered under all circumstances. A simultaneous removal of nutrients from effluents should also be considered. 4. Coverage of sediment by an inert material is an alternative to removal of superficial sediment. The idea is to prevent the exchange of nutrients (or maybe toxic substances) between sediment and water. Polyethylene, polypropylene, fiberglass screen, or clay are used to cover the sediment surface. The general applicability of the method is limited due to the high costs, even though it might be more moderate in cost than removal of superficial sediment. It has only been used in a few cases and a more general evaluation of the method is still lacking. often the case if the lake or the reservoir has a pronounced thermocline. This implies, on the other hand, that the method will only have an effect during the period of the year when a thermocline is present (in many temperate lakes from May to October/November), but as the hypo-limnetic water might have a concentration fivefold or higher than the epilimnetic water, it might have a significant influence on the nutrients budget to apply the method anyhow. As the hypolimnetic water is colder and lower in oxygen, the thermocline will move downward and the possibility of anaerobic zones will be reduced. This might have an indirect effect on the release of nutrient from the sediment. If there are lakes or reservoirs downstream, the method cannot be used, as it only removes but does not solve the problem. A possibility in such cases would be to remove phosphorus from the hypolimnetic water before it is discharged downstream. The low concentration of phosphorus in hypolimnetic water (maybe 0.5-1.0 mgl~ ) compared with wastewater makes it almost impossible to apply chemical precipitation. However, it will be feasible to use ion exchange, because the capacity of an ion exchanger is more dependent on the total amount of phosphorus removed and the flow than on the total volume of water treated. Figure 1 illustrates the use of siphoning for restoration of Lake Bled in Slovenia. Figure 2 shows the lake today after the restoration has reduced the eutrophication considerably. Figure 3 shows a schematic drawing of siphoning hypolimnic water followed by removal of phosphate from the hypolimnic water by ion exchange/adsorption. Figure 3 Application of siphoning and ion exchange of hypolimnetic water. The dotted line indicates the thermocline. The hypolimnetic water is treated by activated aluminum oxide to remove phosphorus. of course be removed from hypolimnetic water before it is discharged, if there are other lakes downstream. 6. Flocculation of phosphorus in a lake or reservoir is another alternative. Either aluminum sulfate or iron(in) chloride can be used. Calcium hydroxide cannot be used, even though it is an excellent precipitant for wastewater, as its effect is pH dependent and a pH of 9.5 or higher is required. The method is not generally recommended as (a) it is not certain that all flocs will settle and thereby incorporate the phosphorus in the sediment, and (b) the phosphorus might be released from the sediment again at a later stage. 7. Circulation of water can be used to break down the thermocline. This might prevent the formation of anaerobic zones, and thereby the release of phosphorus from sediment. 8. Aeration of the lake sediment is a more direct method to prevent anaerobic conditions from occurring. Aeration of highly polluted rivers and streams has also been used to avoid anaerobic conditions. Pure oxygen has been used in the Danish Lake Hald and in Lake Fure close to Copenhagen, instead of air. The water quality of the lake has been permanently improved since the oxygenation started. 9. Regulation of hydrology has been extensively used to prevent floods. Lately, it has also been considered as a workable method to change the ecology of lakes, reservoirs, and wetlands. If the retention time in a lake or a reservoir is reduced with the same annual input of nutrients, eutrophication will decrease due to decreased nutrient concentrations. Another possibility is to use a variable retention with the shortest retention time from shortly before to shortly after the spring and summer blooms. In most cases, the eutrophication can be reduced in the order of 20-35% by this method, but the result is case dependent. The role of the depth, which can be regulated by use of a dam, is more complex. Increased depth has a positive effect on the reduction of eutrophication, but if the retention time is increased simultaneously, the overall effect cannot generally be quantified without the use of a model. The productivity of wetlands is highly dependent on the water level, which makes it highly feasible to control a wetland ecosystem by this method. 10. Application of wetlands or impoundments as nutrient traps in front of a lake could be considered as an applicable method, wherever the non-point sources are significant. It is known that wetlands effectively remove nitrogen by denitrification. Removal of phosphorus by adsorption is also a possibility. 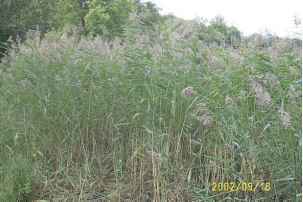 Both nitrogen and phosphorus can be removed more effectively if the wetland is harvested at the fall. Figure 4 shows a wetland, and Figure 5 presents the processes that are applied to trap the non-point pollution. 11. Shading by use of trees at the shoreline is a cost-effective method, which, however, only can give an acceptable result for small lakes due to their low area/ circumference ratio. Figure 4 A wetland is a very effective trap for non-point pollutants. Figure 5 The processes that trap the non-point pollution are shown. Figure 6 The hysteresis relation between nutrient level and eutrophication measured by the phytoplankton concentration is shown. 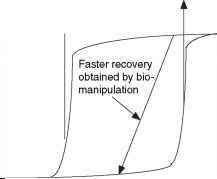 The possible effect of biomanipulation is shown. An effect of biomanipulation can only be expected in the range of c. 50-150 mgPr1. Biomanipulation can hardly be applied successfully above 150 mgr1. relatively low phytoplankton concentration by grazing. Carnivorous fish is also able to maintain a low concentration of planktivorous fish which implies relatively low predation on zooplankton. At a certain phosphorus concentration (about 120-150 mgP1), zooplankton is not any longer able to control the phytoplankton concentration by grazing and as the carnivorous fish (for instance Nile perch or pike) is hunting by the sight, and the turbidity increases, the planktivorous fish become more abundant which involves more pronounced predation on zooplankton. In other words, the structure changed from control by zooplankton and carnivorous fish to control by phytoplankton and planktivorous fish. When the phosphorus concentration decreases from a high concentration, the ecological structure is initially dominated by phytoplankton and planktivorous fish. This structure can, however, be maintained until the phosphorus concentration is reduced to about 50 mgl_1. There are therefore two possible ecological structures in the phosphorus range of c. 50-130 p.gl~ . Biomanipulation can be used in this range - and only in this range - to make a 'shortcut' by removal of planktivorous fish and release carnivorous fish. If biomanipulation is used above 130 mgPl-1, some intermediate improvement of the water quality will usually be observed, but the lake will sooner or later get the ecological structure corresponding to the high phosphorus concentration, that is, a structure controlled by phytoplankton and planktivorous fish. Notice that the value 130 mgPl-1 may vary from case to case due to the influence of other factors such as climate, composition of species, etc. Biomanipulation is a relatively cheap and effective method provided that it is applied in the phosphorus range where two ecological structures are possible. There are a number of cases where biomanipulation has been successful, but only if the phosphorus loading was reduced simultaneously and the total phosphorus concentration is below 130 mgl , as mentioned above. Biomanipulation is denoted a top-down approach, because a regulation of the top trophic level, the carnivorous fish, is assumed to have an effect on the first trophic level, the phytoplankton. This is in contrast to the bottom-up approach, which is the regulation of the nutrient concentration by the use of wastewater treatment. to reduce the discharge of nutrients. The two approaches, both bottom-up and top-down, have been applied simultaneously in most cases of practical environmental management. This statement is in most cases completely in accordance with the results presented in Figure 6. The results in this figure can be explained theoretically by use of eco-exergy as goal function in a eutrophication model. Lake Annone, Italy, and Lake S0bygaard, Denmark, represent two cases, where clear improvements in algal biomass and total phosphorus were observed by use of biomanipulation. The zooplankton concentration increased significantly in both cases, simultaneously with a decrease in the phytoplankton concentration. Both cases were modeled by a structurally dynamic model. 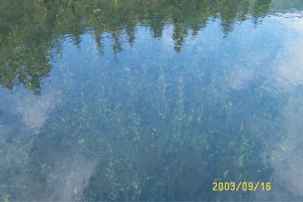 Figure 7 A shallow lake with dominance of submerged vegetation is named a clear water stage. a concentration between 0.1 and 0.25mgPl-1 can therefore be recovered by planting submerged vegetation. 13. Biological control methods are also used. Water hyacinths and other macrophytes are a pest in many tropic lakes and reservoirs. Many methods have been tested to abate this pollution problem. The best method tested up to now seems to be the use of beetles, that is, a biological control method. The method has given at least partial success in Lake Victoria. 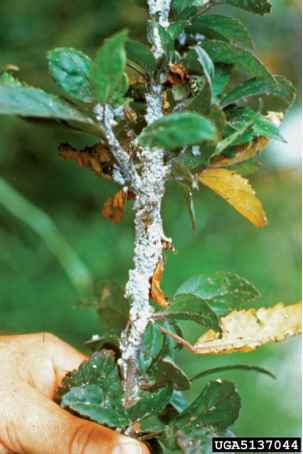 Biological control has also been used as removal process for heavy metals. Freshwater mussels can be applied for cadmium clearance. Lemna trisulca is able to accumulate as much as 3.8 mg Cd per g dry weight. Previously, algicides were applied to reduce the eutro-phication of lakes. It is not recommendable today due to the toxic effect of algicides. In this context, it should also be mentioned that addition of calcium hydroxide to lakes has been applied as restoration method for the adjustment of pH in acidified lakes.